"Building your dreams one detail at a time"
Welcome to Blue Willow Builders, where we specialize in luxury home building and remodeling. 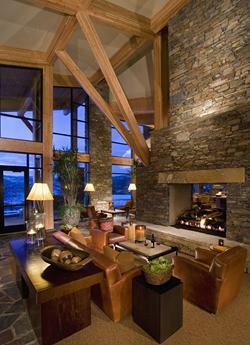 Our goal is to work side-by-side with our clients, assuring their vision is seamlessly turned into reality. That's why our motto is: "Building your dreams one detail at a time." We offer construction management services, and we also do commercial and retail work. 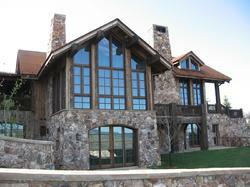 Our projects range throughout northern Utah. All of our jobs are treated with a high level of professionalism, from conception to completion. In keeping with our commitment to total client satisfaction, we provide timely completion of our projects while maintaining the highest level of quality, as expected from our discerning clients. Bruce Anderson started Blue Willow Builders (BWB) from the ground up. The company was founded on one simple premise: to stay personally involved with each and every project, assuring satisfaction for each and every client. With more than 25 years of experience in the construction business, Bruce is the anchor of Blue Willow Builders. We are fully licensed and insured, and our subcontractors and vendors are fully licensed and insured as well. We maintain rigid control over all appropriate releases, submit all warranty information to the client, and provide timely customer service after the project is completed, if the need arises. We maintain financial stability through sound business practices and high ethical standards.